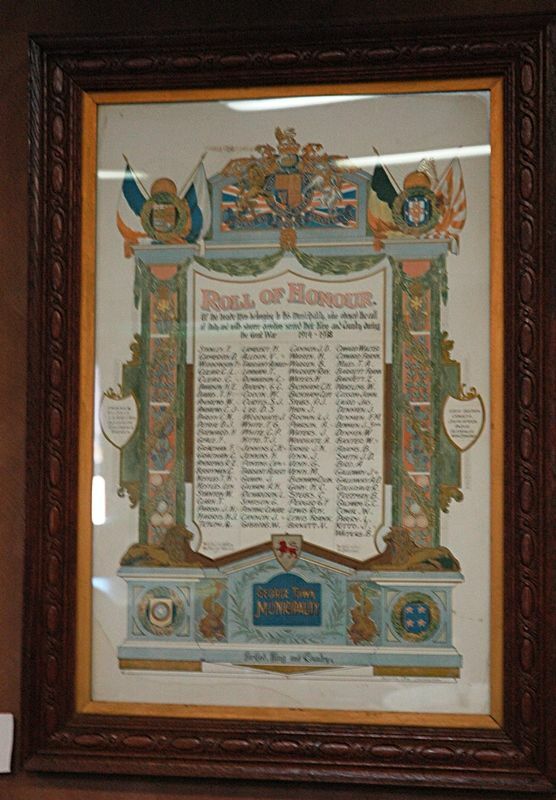 The World War One honour roll is an ornate document in a glazed wooden frame. 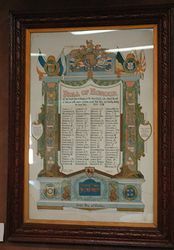 It shows flags of the main allies, the royal coat of arms, state shield and municipal insignia and has an ornamental border. 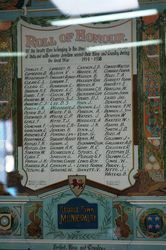 It lists 98 names of those who served in World War One.